We look for new gadgets every now and then but most of the times we never know what has arrived in the market. So to give you a glimpse of the best unique tech that you can use, here's an article to show you some brand new gadgets. Best Tech is a series that allows us to reflect on some of the best accessories in the market that can interact with our smartphone in some way, shape or form whether it's a Bluetooth speaker or handheld gimbal accessories that add or enhance the functionality of our smartphone. Some of these devices are expensive, others are a bargain but all of them are worthy of your consideration. So here is the list of the Best Tech Gadgets as of March 2017. So this is the Feiyu SPG Live 360-degree smartphone gimbal that works with both iPhones and Android phones. This is a new product that does something the G4 Pro doesn't do. You will see that in addition to landscape orientation it can also hold your phone in portrait mode which is perfect for Snapchat or Periscope or various other social media apps. This gives you a ton of flexibility when you are shooting, there's also a 360-degree slip ring motor inside the stabilized gimbal to let you pan your smartphone 360 degrees adding, even more, functionality and flexibility when filming. The cable itself is motorized and will balance itself with a press of a button and there are some included counterweights that can be used and added depending on the smartphone you are using with this device. The bigger the smartphone, the more counterweight you will need to add but unless you're switching phone frequently you can just leave the counterweight in place. This is one of the products I think that every filmmaker should have in their inventory. 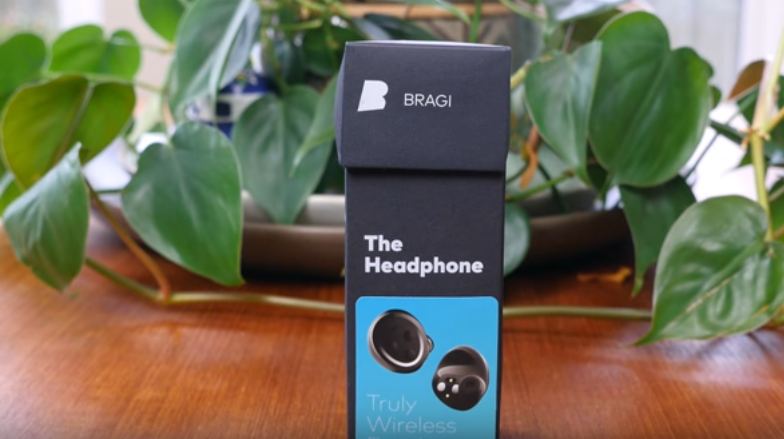 The headphone by Bragi are probably the best wireless earbuds on the market. First, the sound quality is really good for wireless earbuds that don't have a lot of space for the drivers and speaker cavity which is necessary to produce a rich sound. In fact, it's pretty impressive to think about all the technology crammed inside each of these earbuds. There's a battery capable of six hours of wireless play time per charge, a microphone to allow for phone calls and voice commands and a trio of physical multifunctional controls. These controls are really nice to have but I will note that they can be a little bit hard to press and can actually hurt your ears a little bit as you're pressing the earbuds further into your canal. Now there's no heart rate monitor or noise cancellation but given the inner ear design of these earphones they do work to block out a lot of background noise just how securely they fit in your ears and there's plenty of different sized ear tips to allow for a comfortable fit as well. There is pretty neat "audio transparency" mode that will let you amplify the background noise around you while you're listening to music. So that allows you to interact with people around you without ever having to require you to take the earphones out of your ears. It's pretty neat, it doesn't work flawlessly but it works well enough to be a worthy feature. Overall these aren't flawless wireless earbuds but there are some of the best on the market and should be seriously considered over the Apple Airpods as they offer many unique features, similar features but cost $10 less. 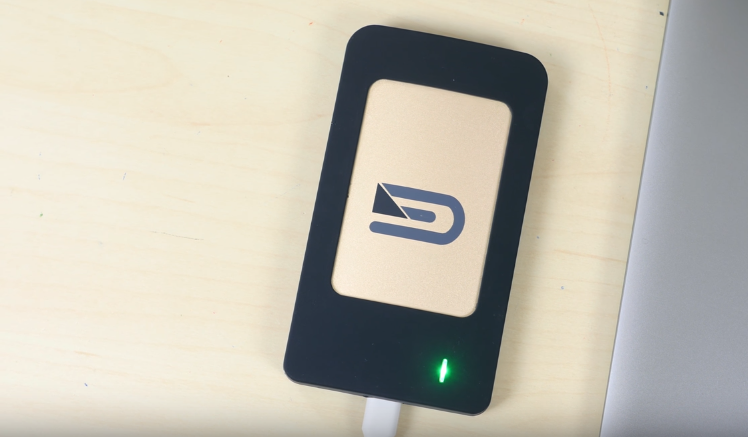 This is the Atom Raid SSD from Glyph, what's special about this solid state drive is it supports USB c 3.1, USB 3.0 and Thunderbolt 3 that means it will work with the latest Macbook Pro without the need for any sort of adapter. USB-C is being used more and more frequently in consumer products nowadays and it is so versatile that it's able to provide power and data through one cable. This drive I think should last you for a long time. The connectors and employs are future proof and the drive itself is as well. The model features one terabyte of storage i.e small enough to actually fit in your pockets. There are no fans, the drives use heat dissipation to cool its inside bits. The Atom Raid SSD is also Glyph's fastest SSD on the market which speeds up to 800-megabytyes per second. So you add in the fact that it's wrapped in a rugged aluminum enclosure and it becomes all the more tempting of a purchase. I've been using this as my mobile drive for the past couple of months now, I can throw it in my backpack or slip it in my pocket and I don't have to worry about how rough I treated as there are no moving parts that would make the drive fail over time. The drive isn't cheap as it comes in at around $420. So the next on the list is the Jam Xterior Max rugged with Bluetooth speaker which I have been using for over the past couple of months or so. I think it's always nice to have a product that you can throw around and be somewhat reckless with because you know its built well and built to handle whatever you throw at it. This speaker is water resistant and has an ip67 water resistance rating and it doesn't sound awful for being waterproof. It syncs up with my phone automatically when I power it on and it gets very loud. It has 12 hours of playtime per charge and there's a screw mount on the bottom that will actually let you mount it to something like a bike. 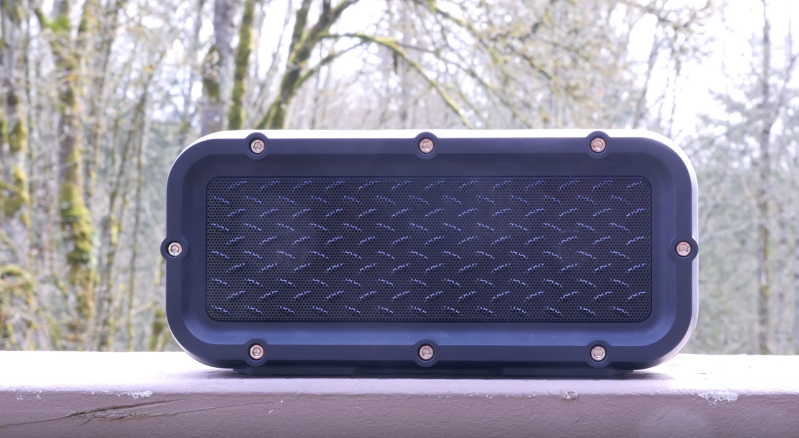 If you're an outdoor rugged person I highly recommend this speaker. 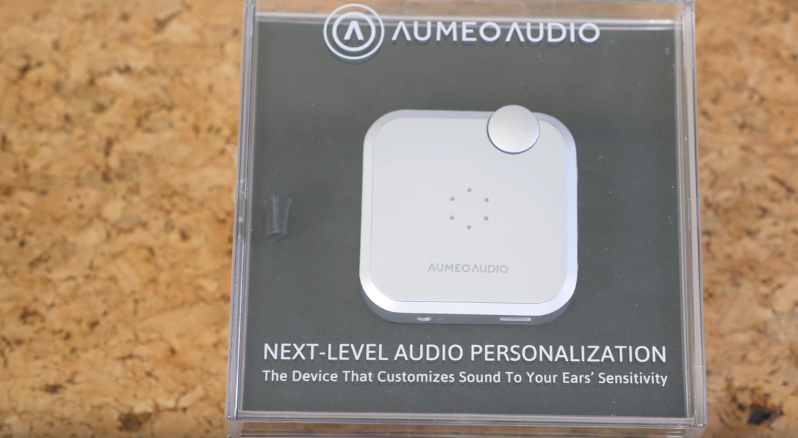 The last product on the list is the "Aumeo Audio". It's a device audio enthusiast should take note of, what it does is it personalizes your headphones. You use the app to sync up with this little square device here to create your own personal audio profile. The whole process takes only a couple of minutes and will require you to set the volume of various frequencies played in each ear. When you're done you'll have your own profile that you can toggle on and off when you press the volume dial and when you do that you'll notice the difference is very noticeable. Not only is the sound amplified but the depth of the song and music that you're listening to is as well. You'll hear the guitar of a synth in a completely different way. I like to think that it makes music sounds alive and full. What's new is that it can be used via a wired connection or wireless connections so you can use a 3.5mm audio cable or you can use Bluetooth. I found that it doesn't offer the most seamless or a reliable connection but it's definitely an option. The biggest downside with this device is the price, it's a little bit expensive coming in at around $200 but if you're serious about audio it could definitely be worth it. So to conclude with, these are some of the best unique gadgets available in the market that you can look for. Quite expensive but if you're really into buying something new then all of these products are worth a consideration.